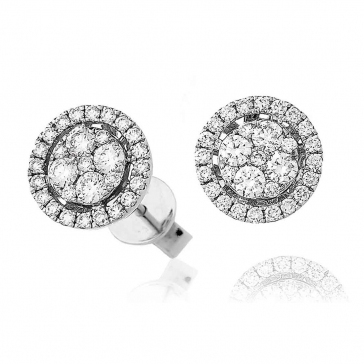 Stunning stud earrings with pavé cluster settings and diamond halo surrounds. 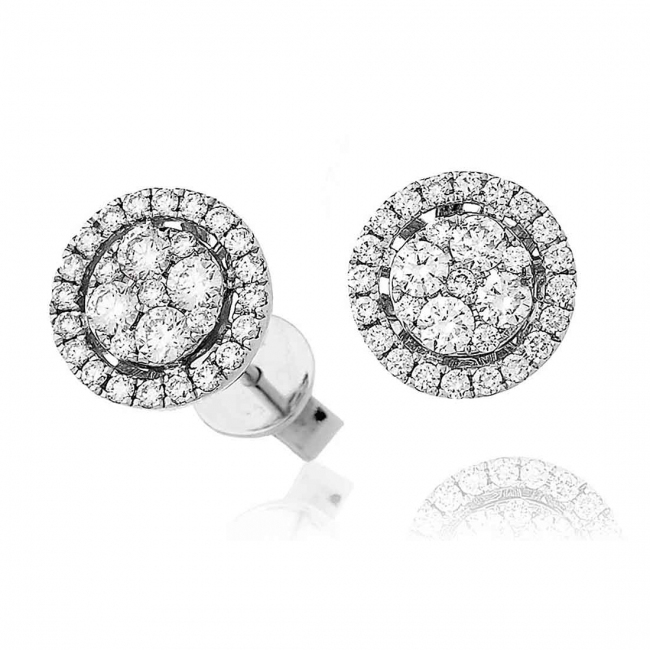 These beautiful earrings are set with a total of 0.70ct of quality round brilliant cut G colour SI clarity diamonds, set in solid 18k white gold. Featuring a post and butterfly fitting for pierced ears. Delivered free with a luxury wooden gift box, authenticity certificate and a full 12 month guarantee.